Help keep your spices organized and easy to find when you’re busy with cooking. From big to small, no matter what size jars you have for your spices, you can make and adjust your labels to fit. 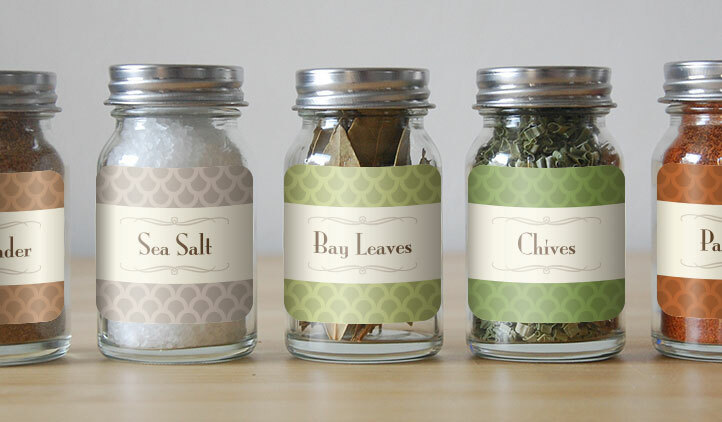 If you keep your spices in a drawer, stick your labels on the lids of the jars! 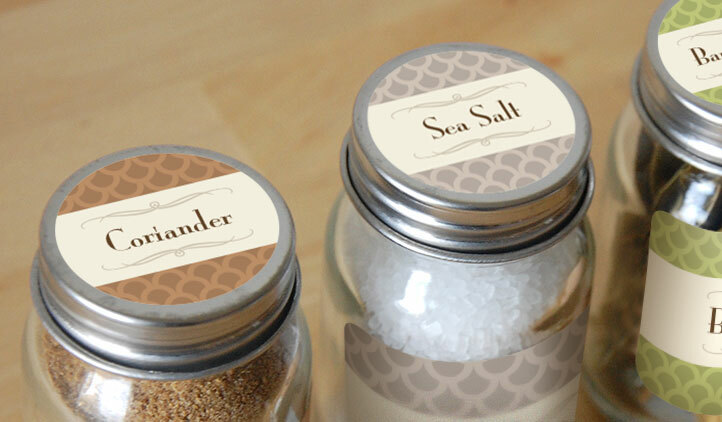 As spice jars come in all different shapes and sizes, you need labels to fit each one. From big to small, no matter what size jars you have for your spices, you can make and adjust your labels to fit! If you keep your spices in a drawer, make your labels to stick on the lids of the jars so you know exactly which spice you’re looking for. When you make your spices you can include the date you got them as spices like basil or paprika, don’t get used as often as spices like pepper, ginger, chives, or cinnamon would! You can also create labels for your spice rack, to really make sure you have the right spice. 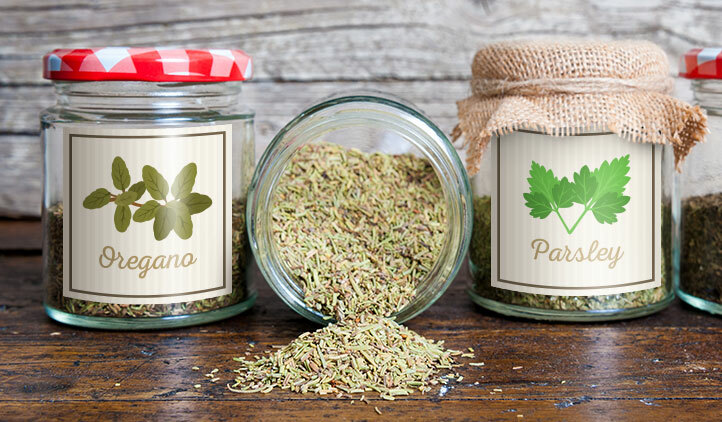 Our spice labels are made with high quality, glossy, clear or white vinyl material. They are water resistant, and are made of bubble free material to go smoothly on the jars. 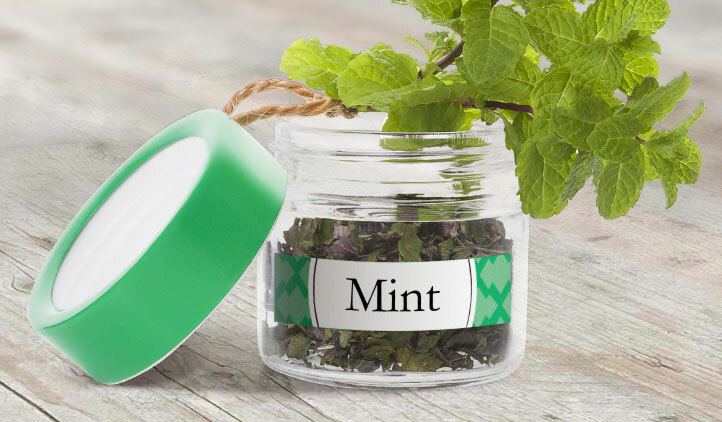 You can make round labels, to stick on the lids of the jars so you can store them to your preference. If you want to design your labels ahead of time, you can write on them later with a pen or maker.